Street Stream is a new tech startup that is disrupting the same-day and on-demand delivery industry. Since their last round in February 2016, they've built their API and facilitated 14,000 jobs so far, achieving what they planned to since their first round that funded in just 11 days. Traction since growth. The chart shows the 3 month moving average shown to reduce noise and seasonality. Monthly growth from launch to October 2016 has been 28% (geometric average). One of our van drivers volunteered to have his van decorated in our logos. 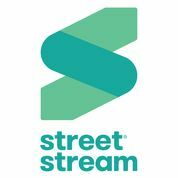 Many of our couriers enthusiastically promote the Street Stream brand and become great ambassadors for the business. Street Stream mostly does not own the courier assets. Our large cargo bike is one exception. Incredibly handy, it plays an important role in our services to catering firms and artisan food producers. Many of the early customers were looked after by James, the CEO, personally on his bike. James still sometimes goes out on his bike to see how it is going and meet clients, as well as when we are really busy! Customer feedback is really strong. Many of our clients have tight deadlines with mission critical deliveries. We have got many customers who have been referred - unprompted - by existing customers. The fact that couriers are individually rated and reviewed leads to a virtuous circle: it encourages couriers who are keen to please, leading to a very high level of customer trust and loyalty to the brand. The new website version is even more intuitive. The user experience has been greatly improved for mobile use. The website also now allows for invoice accounts for bigger clients allowing us to scale further. We believe Street Stream disrupts same-day delivery with our web & app-based couriers network. We've seen our sales grow 28.2% per month (geometric average from the launch month to the end of February 2017). After we closed our first Crowdcube round (closing early & oversubscribed) we have progressed: launching an API, having exceeded 1000 jobs in September and October 2016, and crossing 14,000 jobs so far. We follow Airbnb’s model: decentralised asset ownership; good service via a ratings-driven marketplace; a scalable model with potential to be a major player in a fast-growing market. Customer feedback has been very positive so far. 2) Via Application Programme Interface (API) - launching now, with waitlist. increasing e-commerce market, which is steadily growing at 14.4% per annum. - Slow/inflexible deliveries can have a negative impact on sales (Hermes). To see the rest of the Street Stream pitch, join now. Join to read more information about the Street Stream team, documents, and what other investors are saying about the pitch.